I've begun drinking wine again and am growing quite a little collection, currently the bottles are lined up on my built-in wall buffet. I've decided that investing in some type of wine rack might be good for the integrity of the look of my home. 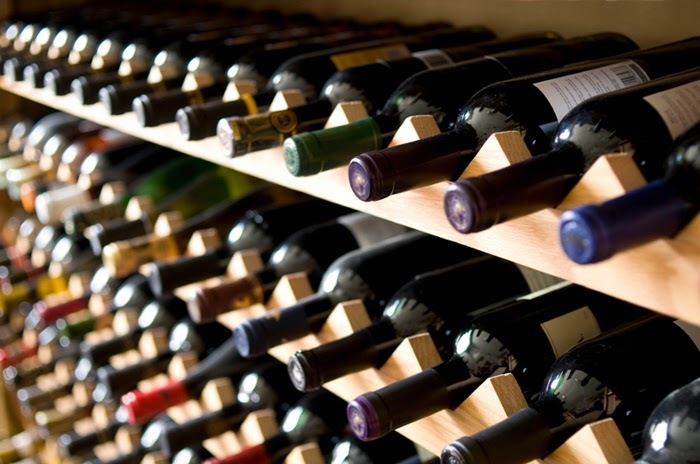 There are so many types of wine racks to choose from and so far I've managed to narrow down the style I want: simple. The above pictured wine rack is really quite ideal, except for the fact that I never at any given moment have that much wine; I suppose I drink it much faster than I can save it. So while I love this straight forward timeless wine rack it is much too big. The line of metal circles that shelves the wine rack is cute, modern, unique, clean looking and simple. 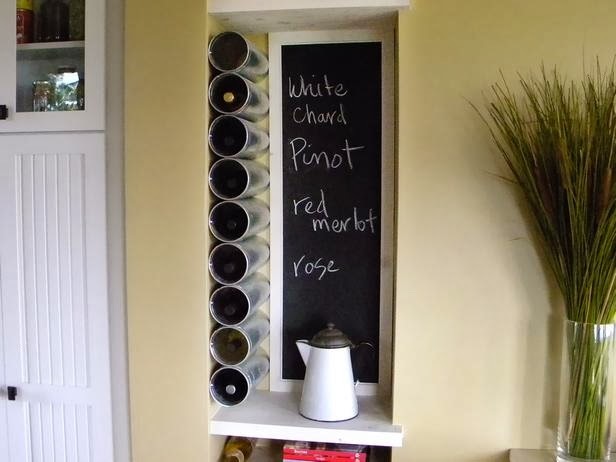 But the placement of the wine rack is too final as it seems to be attached to the wall and one-by-one at that. I can only imagine the time it would take to move the wine rack should you want to. 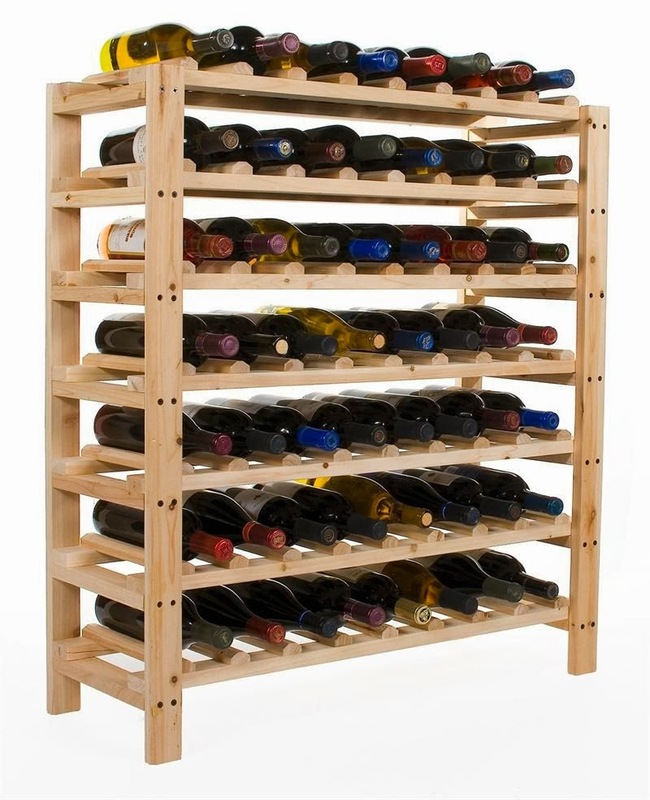 Here is the simple wine rack I am looking to get for my home. Housing about 8 bottles it is the perfect size and should I need more space I can simple buy (or make) more. 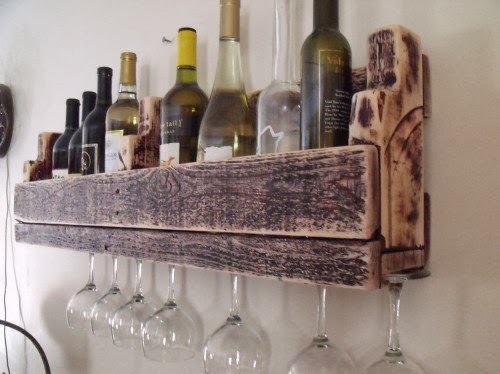 This style of wine rack is simple enough to make (DIY style) which is another added bonus, I will most likely forego the wine glass holder on the bottom for simplicity's sake. Imagining a row or column of two or three wine racks of this style on my gray dining room walls makes me feel that I have found the perfect wine rack- I'll take that as a big hint that I can now stop looking. Recently our (my husband's and I) home went through some minor construction that required our furniture to be piled into the center of the rooms, furniture that included our massive bed and our piano, to name a couple of the more heavier objects we found quite unforgivable on our backs in recent times. Very well knowing what kind of struggle we were dealing with we made time to visit our local Home Depot and purchased a couple of moving blankets, at $30 each these ugly but sturdy blankets are not cheap but are very well worth the price when you realize how much easier it is to move that piano, to move that massive bed. I was quite pessimistic on whether this moving blanket could make that much difference. When my piano moved in to our new home, three very burly men with muscles on top of muscles came teetering in with it, my husband alone could not pick up one end of it an inch off the ground, could a moving blanket really do magical things? Apparently, yes, it can. Something about leverage that I don't clearly understand, especially when talking about this blanket, just makes it work. Needless to say, my husband and I were able, with the help of two moving blankets, to move the piano, our massive bed with the mattress on it, a book shelf with all the books on it and so on. 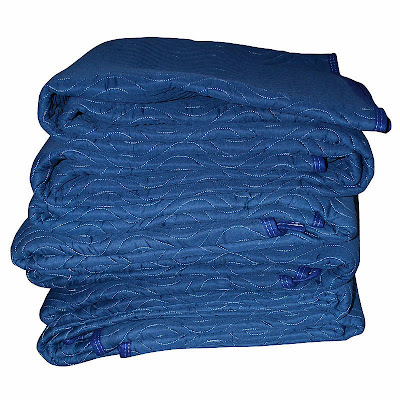 I love these moving blankets, couldn't do it without you guys! But just to get my money's worth (even more so) they will be doubling as picnic blankets and will be going down on the floors for extra padding when I go camping. It's probably not the first time I've seen this nor the first time you've seen this but for some reason I always get wowed when I see it. It's a cork board, literally. 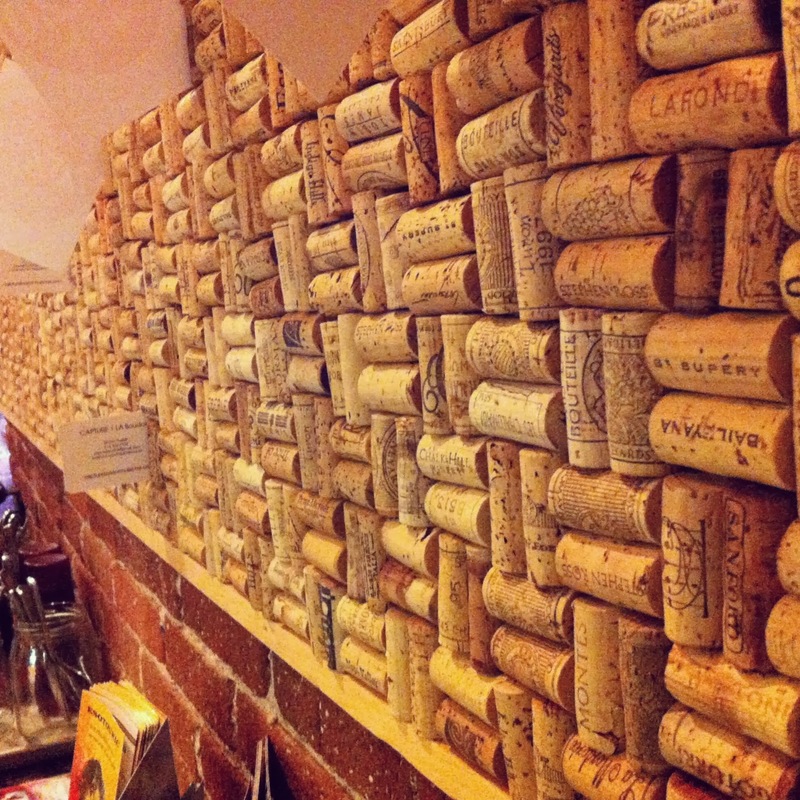 A board full of corks, wine corks. I have to admit that after having seen one done so beautifully it makes me want to create my own, but that would be a lot of wine to drink. But if you've got a collection of corks already saved here's a fun project you can seriously think about doing. 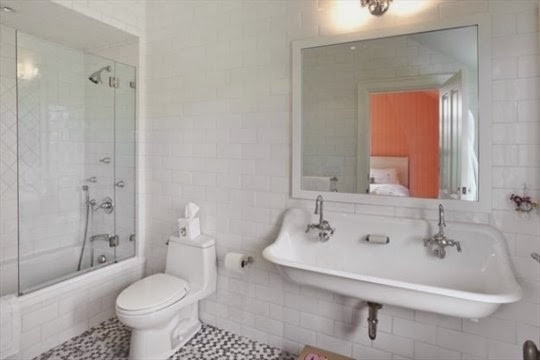 Small Bathrooms Can Have Double Sinks?! 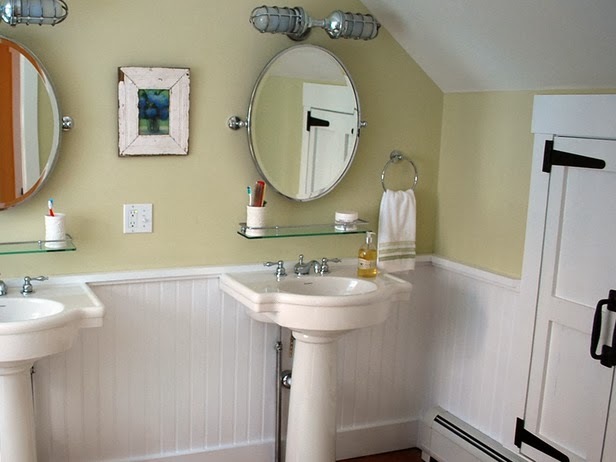 My master bathroom only has a single sink but luckily our home has two bathrooms so if ever we catch ourselves fighting to brush our teeth at the same time one of us simply moves to the other bathroom to finish brushing. 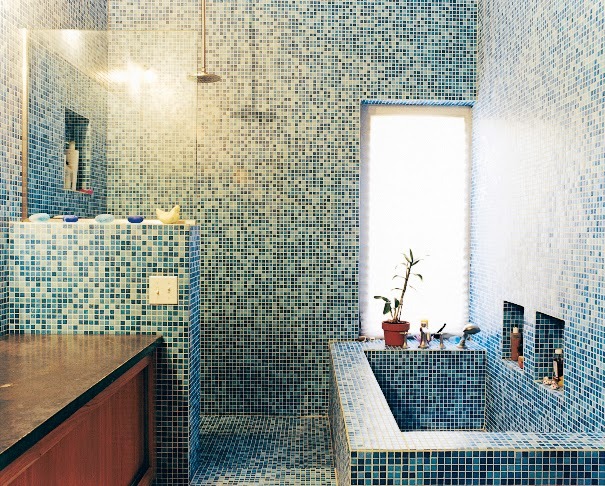 An amateur such as myself thought the most logical thing when our home was being renovated, our bathroom is just too small to have a double sink, apparently, I was wrong. 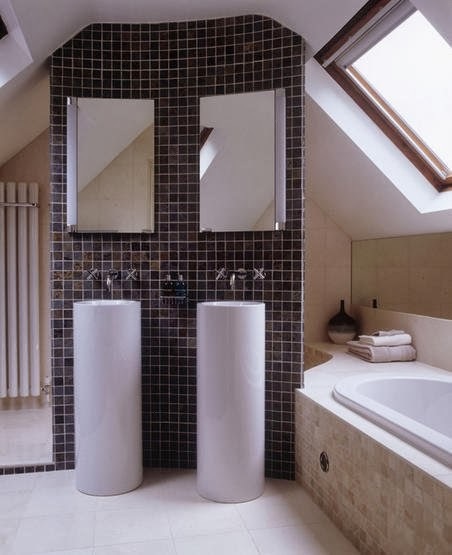 Our bathroom wasn't too small to have a double sink- there is no such thing, but my mind was too small to think otherwise. 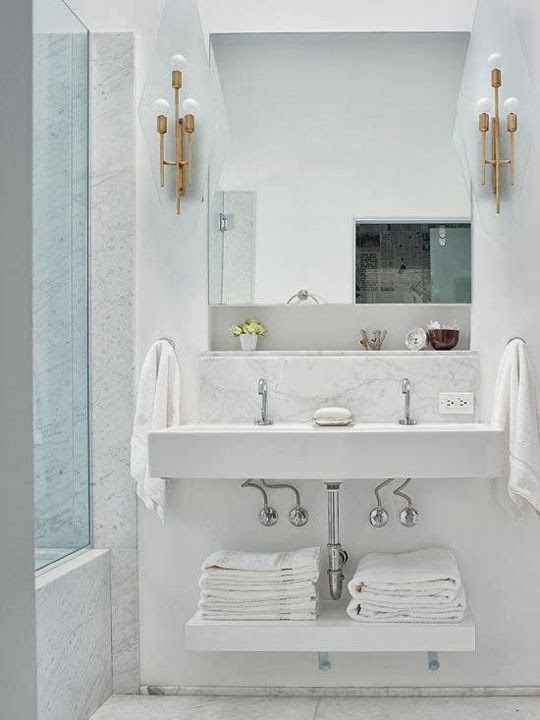 Of course as I look at all these images of beautiful small bathrooms with double sinks I'm kicking myself for not thinking outside of the box and into the circle. I love the jute rug and the greenery and the woodsy furnishings that smartly introduces outside into the sunroom. We have a little sunroom attached to the back of our home. When we first bought our home about a year ago I had grand plans to transform the sunroom into a Moroccan style lounge, however, with all the other big fixes we were busy doing the sunroom was pushed to the back burner and so naturally, the sunroom is still in need of some serious attention. With so much time that has passed my original idea of the Moroccan lounge seems less appealing so now I'm on the hunt for a new idea, a new look. 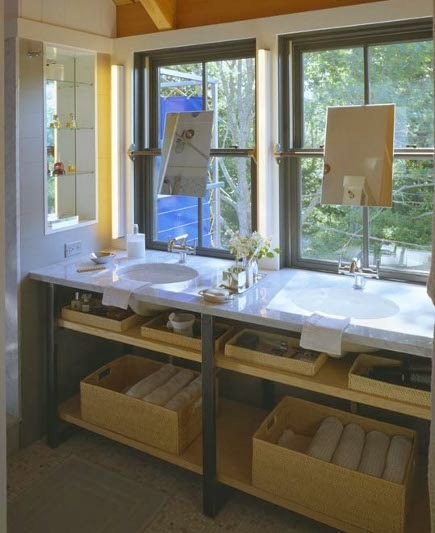 Here are a few lovely sunrooms that made an impression on me. Love the amount of seating the huge wooden table, it all points to a large warm gathering. 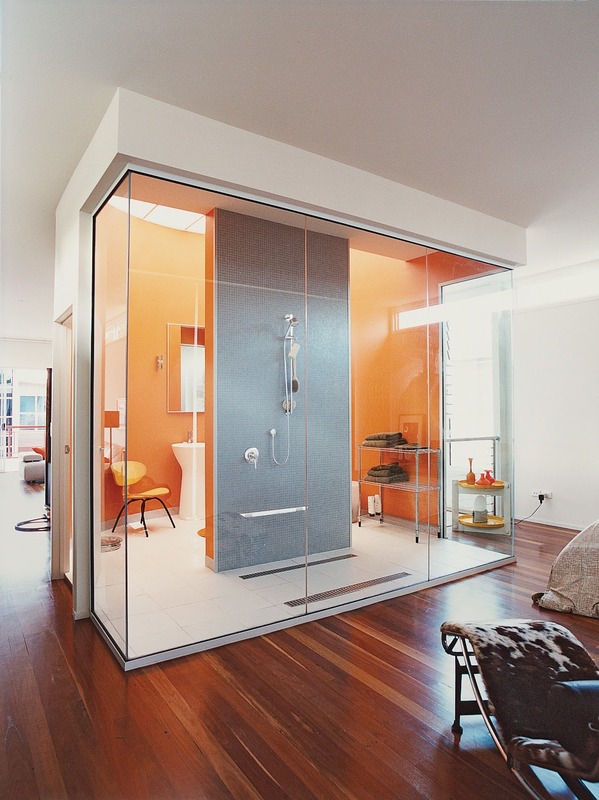 I also love the idea of curtains to have privacy when needed. 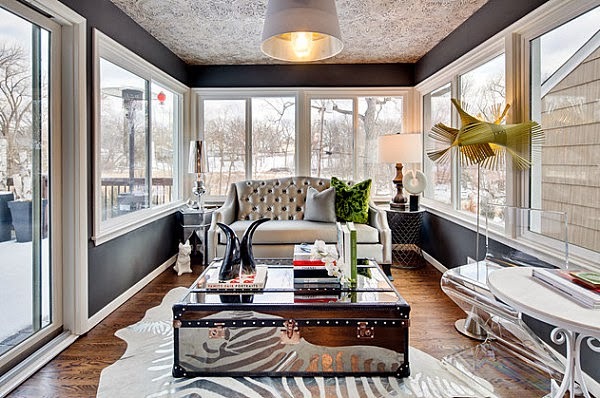 I love that this person went all out, no holding back, and went for very chic decor, an unlikely look for a sunroom. 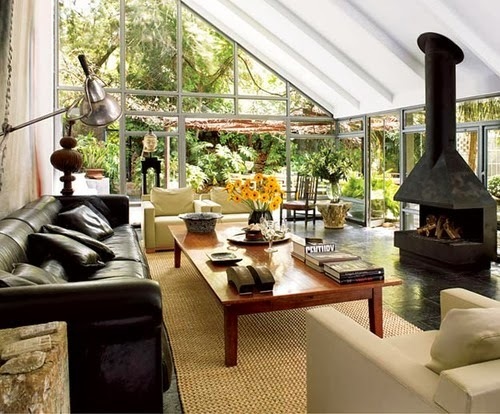 I really love the fireplace added into the sunroom and the fact that this sunroom has a general feeling that it is part of the home, it can even pass as a living room. 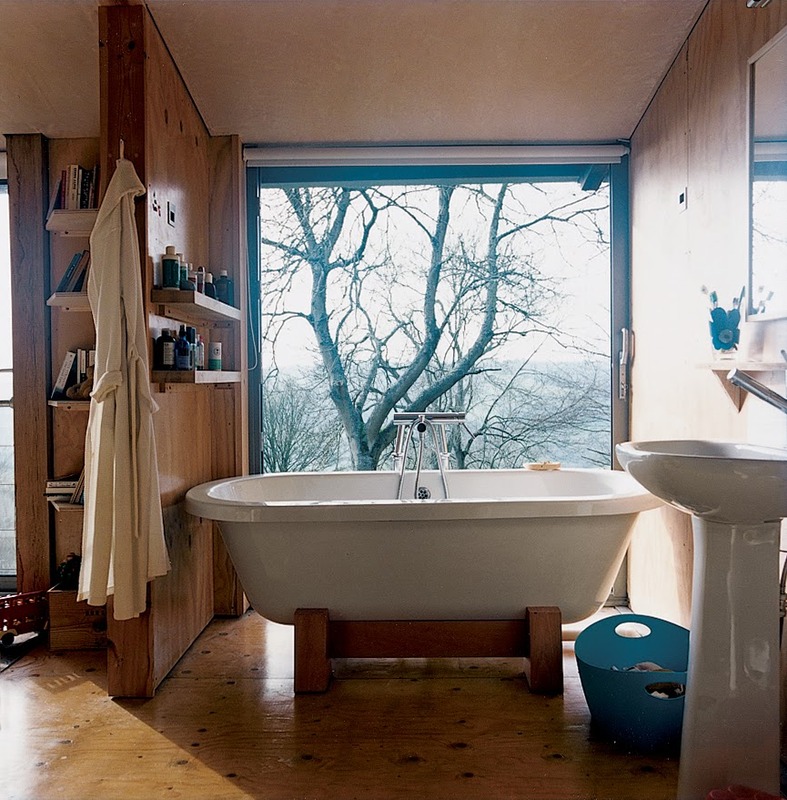 I love that this sunroom albeit small has a very warm welcoming decor while keeping it simple. My favorite sunroom out of the bunch. I love that it has an eating area as well as a sitting area, two things I definitely want in my sunroom. 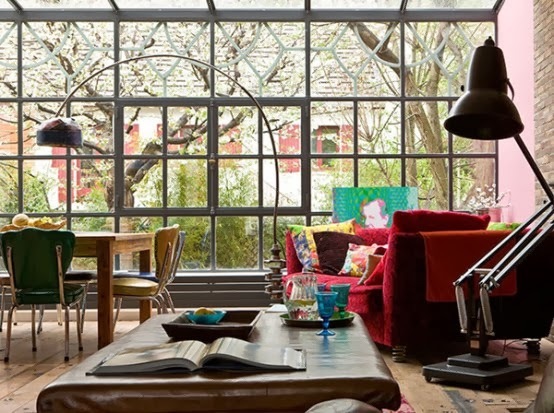 I love the use of color in this sunroom. So often we see sunrooms with neutrals- which makes sense but why not branch out. A sunroom turned studio, very downtown and hip to the vibe. 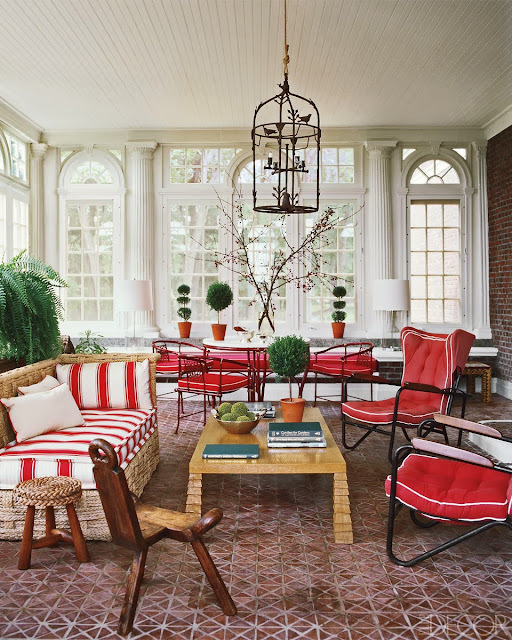 Love the completely un-sunroom like sunroom. 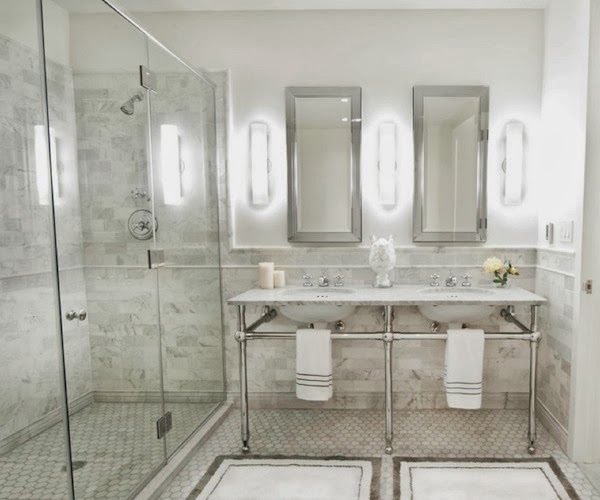 I have to admit that I am pretty obsessed with the look of bathrooms, maybe it's because I always love being pleasantly surprised and wowed by bathrooms that exude more than what they are, a place where one relieves themselves. Here are a few bathrooms that I thought go beyond in style and unique-ness, and while I can't say all of them are user-friendly I will say the concept and style is very interesting and worth looking at. A chalkboard wall is something I've always wanted in my home, a little piece of old school to make my home unique, fun and welcoming. 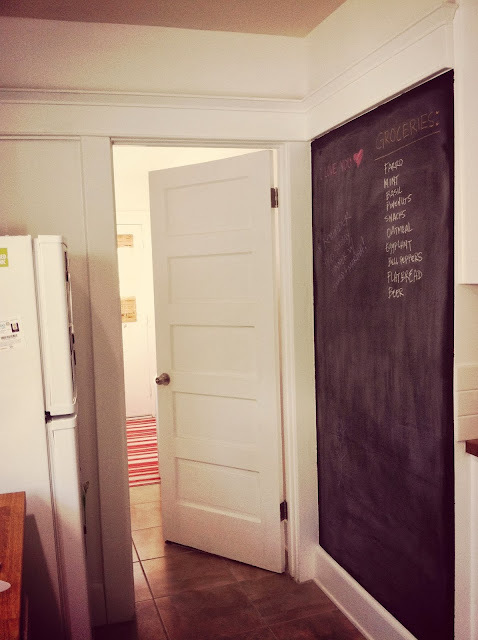 There are plenty of great places to put a chalkboard wall, your kid's room of course is on top of the list, but for me the chalkboard wall took place in the kitchen. 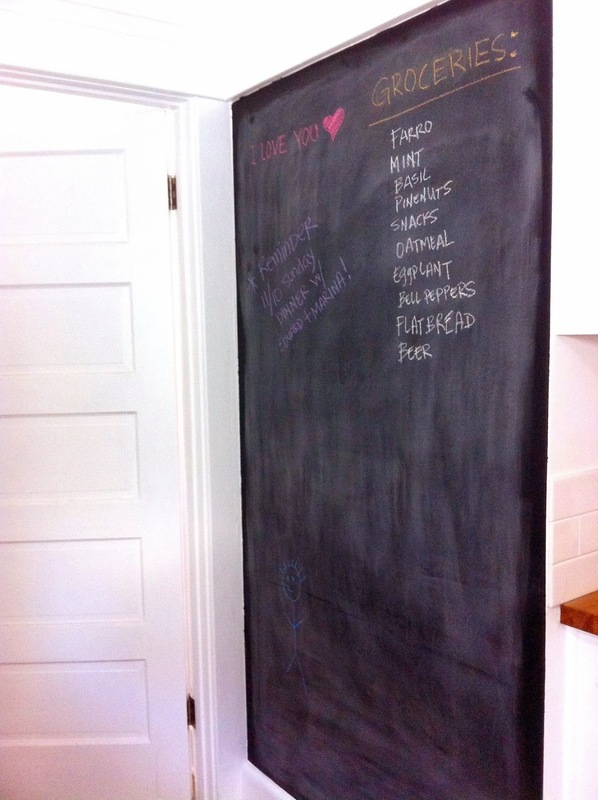 A bare awkward wall was painted over with a few coats of chalkboard paint (purchased at Home Depot) and in a few days I had a chalkboard wall to write my shopping list, reminders, planned menus, notes and such. I absolutely love it! And I'm sure my son, when he is old enough, will love it too. 1. 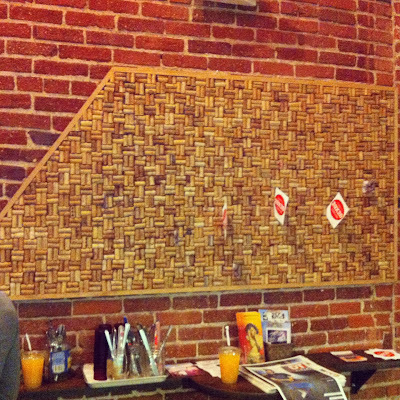 If you want a smooth surface chalkboard wall you'll need to pick a wall with a smooth surface. Unsurprisingly the chalkboard paint will not smooth out any bumps for you. My kitchen wall has a slightly bumpy texture so naturally the final result came out well, a little bumpy. This can be seen more so when written on, it's not all too bad but still, if I was to do it over again I'd probably do it on a smooth wall. 2. When the directions say "sand the wall", SAND THE WALL! 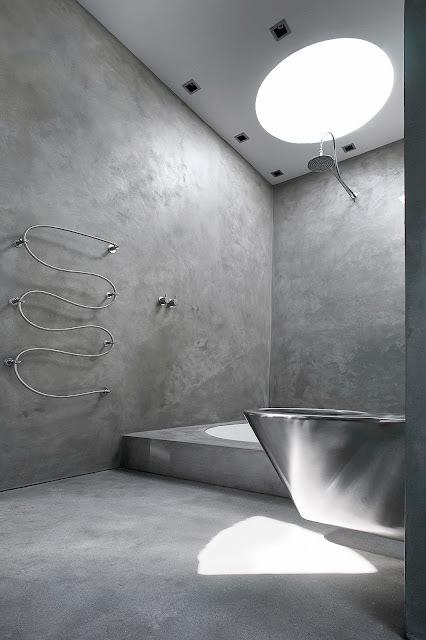 Especially if you have a glossy finished wall you are planning to paint over. 3. 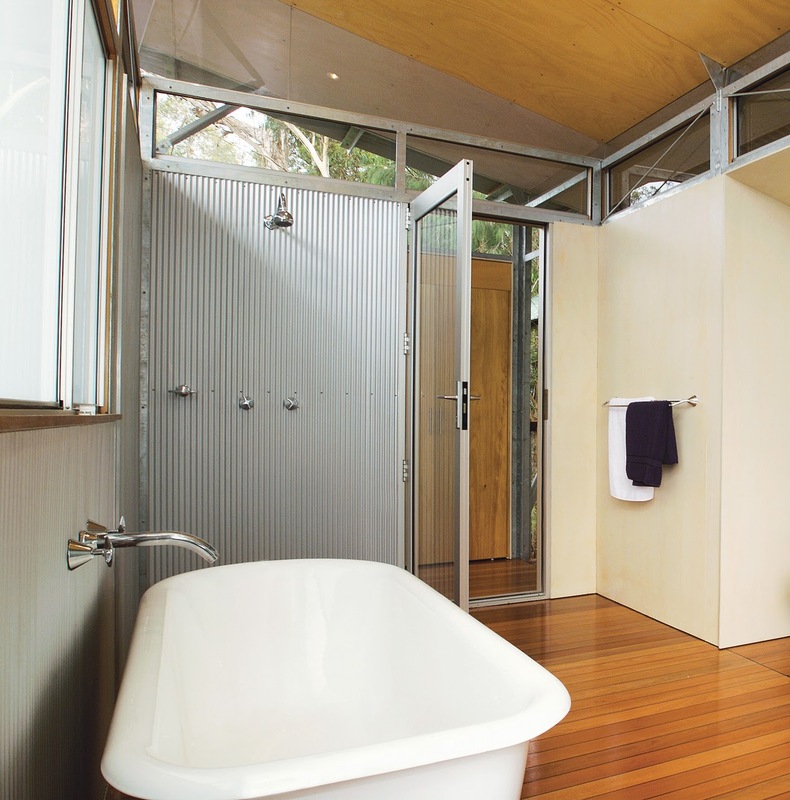 Don't be afraid to do more than two coats just remember to wait the specified amount of time to let it dry before painting your additional coats. I did three coats. 4. Purchase the appropriate roller! A roller specifically for a smooth finish is what you're going to need to get this done right. I bought a couple of rollers and used a new roller for each coat that I did, just in case. The chalkboard paint specified which roller I would need- this made it loads easier! 5. 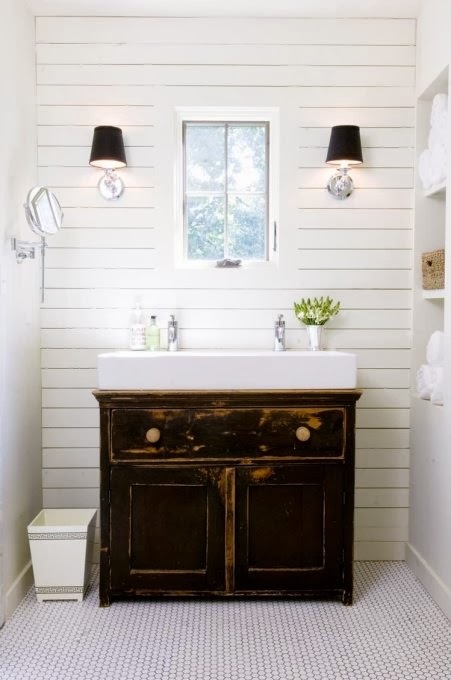 Don't freak out if you've found that your chalkboard paint has bled just a little bit past your taped off edges, you can always do a trim or a molding around the chalkboard which will probably only make it that much more beautiful. 6. Slowly and carefully remove your tape from the taped off edges. The chalkboard paint I used is latex so when it dried and hardened I was careful to remove the tape off the edges as I was afraid it would peel or lift the paint off the wall. 7. The type of chalkboard eraser you use is a factor. What? I know right! I thought all erasers were made equal, apparently not, just ask a fellow teacher. I'm not too sure if I got a good chalkboard eraser but it was reviewed pretty highly on amazon compared to all the others.